A full school meal can be provided by AiP our caterers for a charge of £2.20 daily. Meals for Years 3 and 4 must be ordered and paid for in advance through Parent pay (link below and also on the app). School will issue a code and password in order for you to login in. Free School Meals must also be ordered via Parent Pay but they will be free of charge. Children in Reception(Ash and Birch) and Key Stage 1 (Cedar, Elm, Fir, Hazel )who require a hot meal are entitled to a Free Universal School Meals. These will be chosen daily with their teacher at registration. Tables are provided in the dining hall and a glass of water is always available. 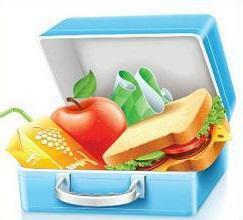 Every effort will be made to educate our pupils into sensible eating habits and health-related foods will be on offer. We also need to be aware of the type of food which children enjoy. Popular, health-conscious food is the answer!